Auntie Em's Studio: Cute, Cuter, Cutest! 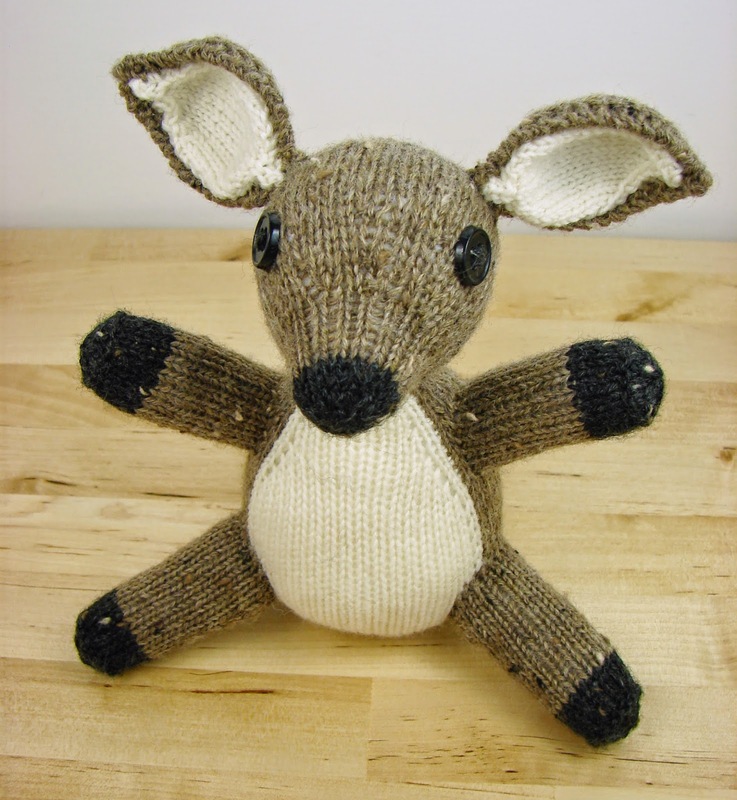 The latest Knit Picks collection is out, and this time I've got two patterns in it! This collection has been my favorite so far, which isn't surprising since it is a toy collection. 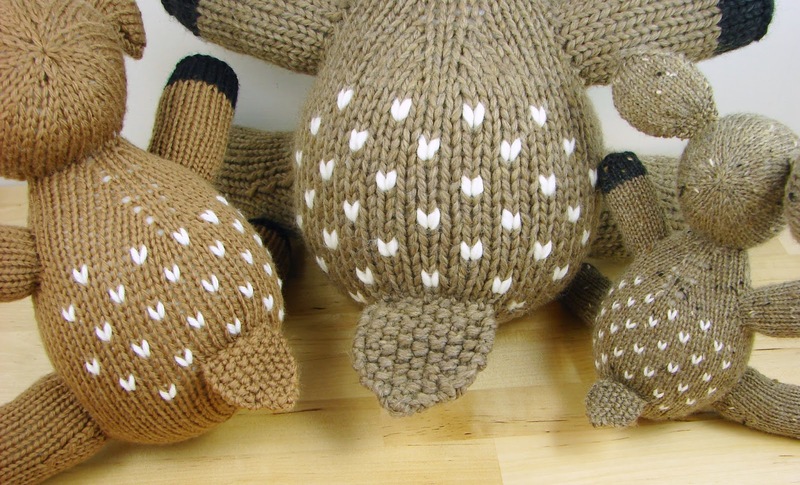 It's called Cute, Cuter, Cutest: Knit Toys to Love in 3 Sizes. As the name suggests, each pattern can be made in three different sizes. I achieved different sizes simply by changing the needle size and yarn weight, other than that, the patterns are the same for each size. 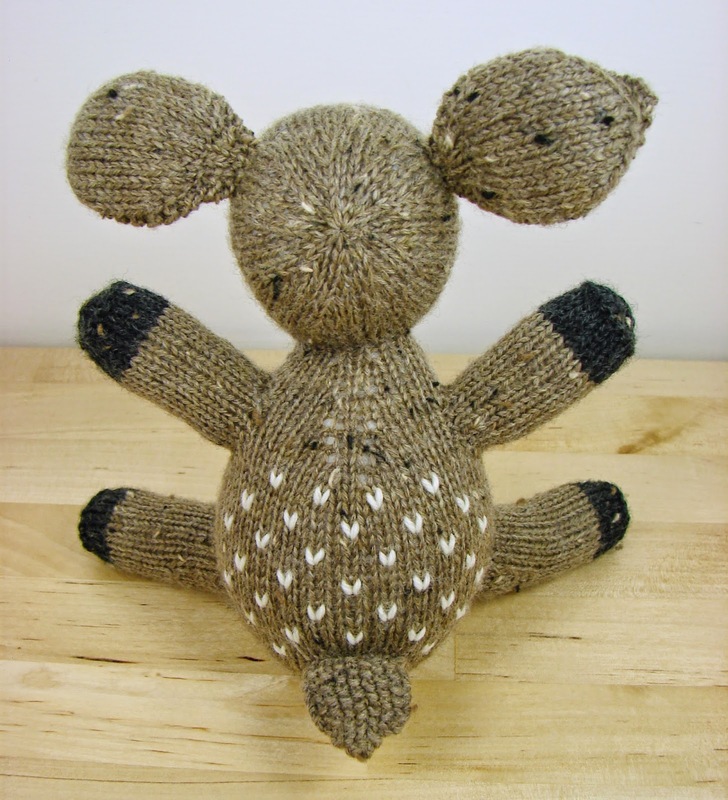 My first pattern in the collection is the Woodland Owl. I had this pattern on my to-edit-and-publish list when I saw the call for submissions for this collection, so I submitted it. 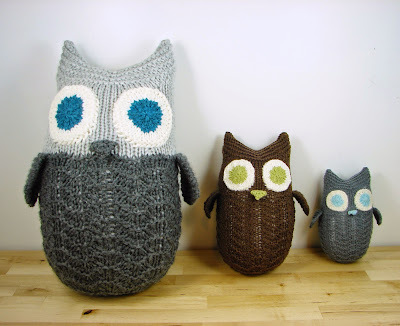 I absolutely love how huggable the biggest owl is! The next idea that I had was for the Forest Fawn. I have had lots of rather unwelcome visitors in my yard lately, so I decided to turn my annoyance into inspiration. It is amazing to see wild animals a few feet away from you. If they didn't eat my fruit and vegetables, I'd be quite happy to have them there. 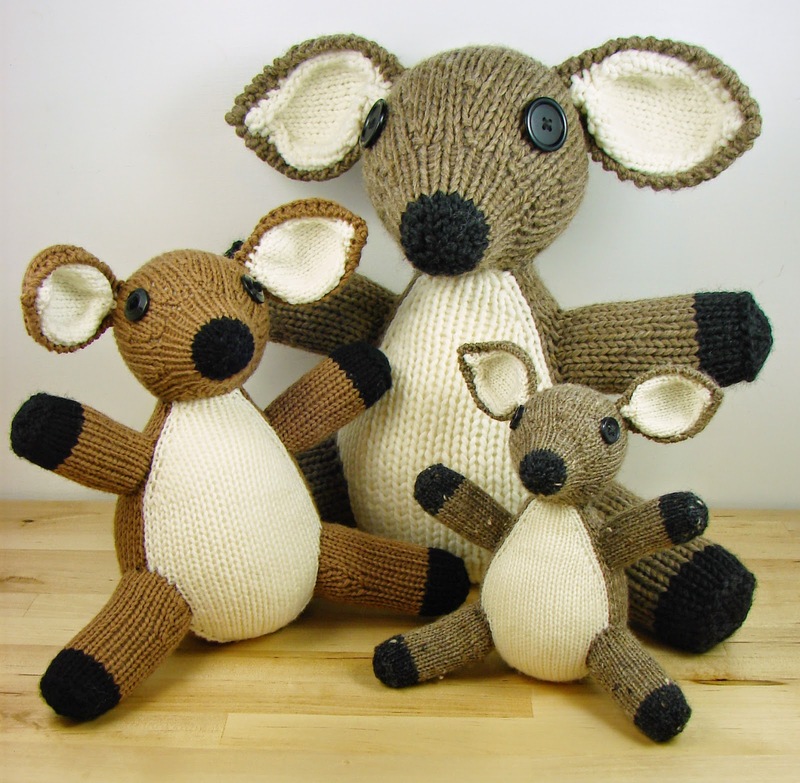 I was very happy with how my knitted versions turned out. My favorite fawn is the littlest one. He's just so cute and tiny! Overall the collection turned out great and there are lots of adorable knits in it! It makes me want to try to make some of my other toy patterns in different sizes. I really want to make a mini T-Rex! I know I haven't had a chance to post lately. 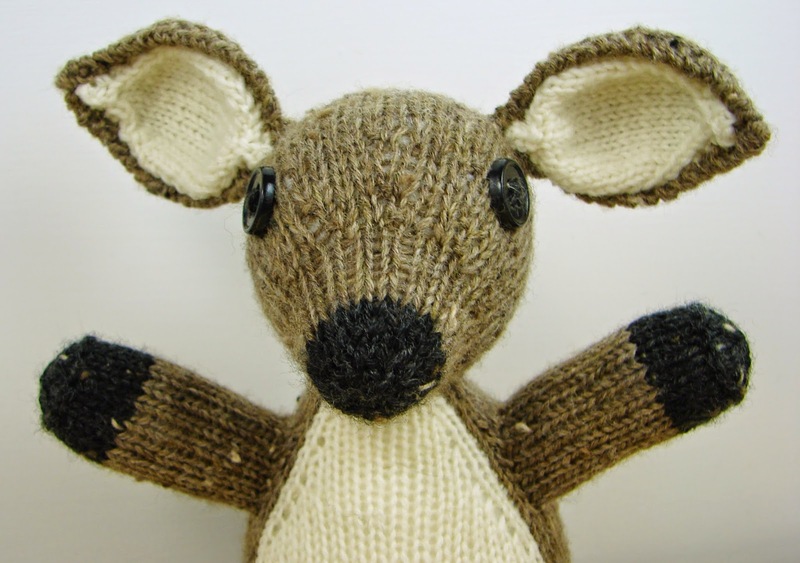 I have been working on lots of new patterns, and I've got more ideas than I have time to make. Most of my projects aren't ones that I am able to post about until they are published, but I will try to share when I can. So cute! Excellent work you have done here.Keep sharing with us.